« The J.I.M. Experiment- Interactive Improv Comedy! 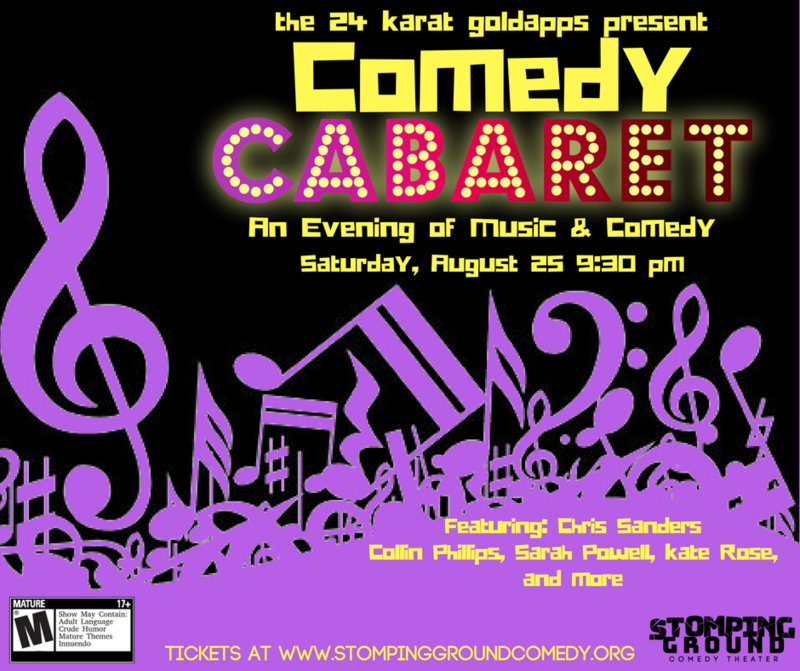 The 24 Karat Goldapps Present:Â Comedy Cabaret- an Evening of Comedy & Music. The evening features a hint of old school, hearkening back to the musical comedy variety series’ of yesterday but with a modern twist. Local performers will sing Broadway hits of yesterday, classic American standards, and the comedic hits of tomorrow. Bring your own old-fashioned and sit for a spell as you dazzling vocals combined with quick with. This showing features performances byÂ ChrisÂ Sanders, CollinÂ Phillips,Â SarahÂ Powell, John Wenzel, Kathryn Taylor Rose,Â and more. This show is rated M/18+. Stomping Ground is BYOB. Seating begins 15 minutes prior to the start of the show.